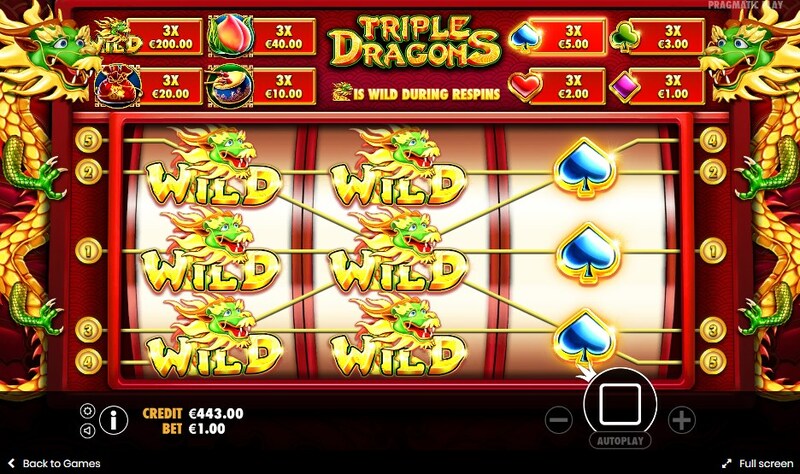 With the Triple Dragons slot from Pragmatic Play, you will have the opportunity to become better acquainted with the magnificent dragons. On the technical side, Triple Dragons is a classic model. 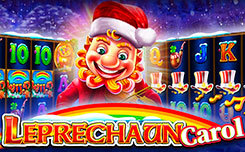 Three game reels and 5 paylines are waiting for you, on which winning combinations will be formed. 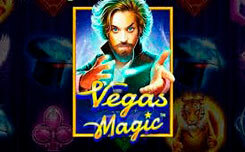 In the slot machine, all bonus features are associated with the image of a dragon, which is also the most expensive symbol in the slot. 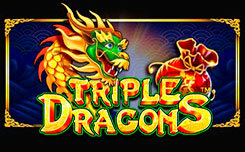 Visually, Triple Dragons slot immediately attracts attention. 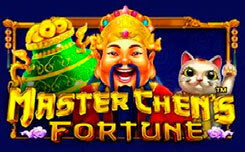 As mentioned above, this gaming machine can be attributed to the classic models using Chinese themes. Symbolism in the slot also conveys the Chinese atmosphere, you will see drums, a red bag, a flower, card suits, and the most expensive symbol in the game is a dragon, it has interesting features, which we will describe below. Playing for free in Triple Dragons note that all the images presented in the slot are stacked, which means you will have the opportunity to fill the entire playing field with one character. Respin Until You Win – as mentioned above, the dragon has interesting features. When a whole dragon stack appears on the game drum, they will turn into stacked wild symbols that will remain in place, and you will get an unlimited number of re-spins. These rotations will not stop until a winning combination is formed. Due to this feature, you will have the opportunity to fill the entire playing field with symbols of dragons, and this will undoubtedly bring you good prizes. 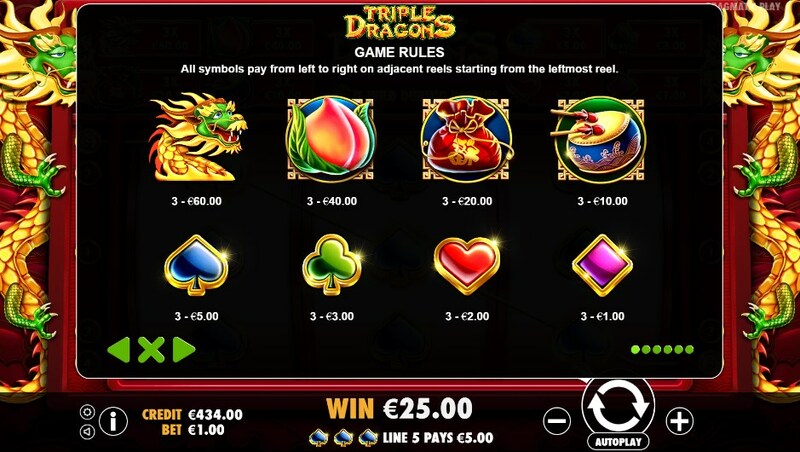 Concluding, we can say that Triple Dragons from Pragmatic Play, despite the fact that it has only one bonus feature – re-spins, can be called an interesting and profitable model. 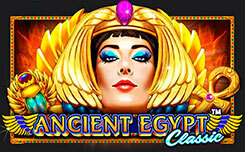 Therefore, run the slot machine and enjoy good winnings.